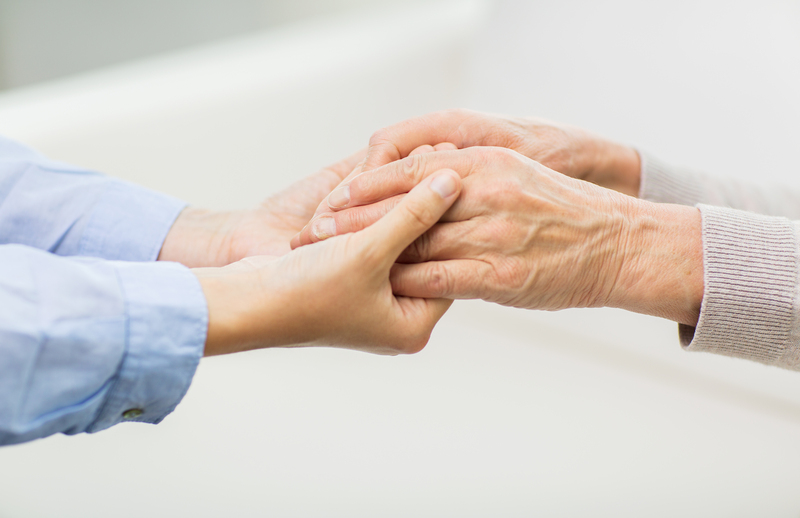 Hospice Care is provided for clients who are terminally ill and expected to decline. Hospice is for those whose health is declining and who have a terminal diagnosis such as cardiac disease, pulmonary disease, renal disease, cancer, Alzheimer’s, etc. Most patients and families seek hospice care in their homes however we can also provide hospice care for those living in nursing homes, assisted living apartments or extended care facilities. Our hospice team consists of nurses, social workers, chaplains, home health aides, physicians, and volunteers. All members of our hospice team regularly visit the patient to provide care. We provide and pay for equipment that the hospice client needs such as a hospital bed, wheelchair, oxygen, walker, bedside commode, and briefs. We also pay for medications needed for symptom management and comfort that are related to the patient’s hospice diagnosis. All equipment and medications are delivered directly to the patient’s home. If a caregiver is in need of relief, our hospice program will pay for the patient to stay in a facility for up to 5 days to give the caregiver a break. This is referred to as our respite program. If the patient has acute or uncontrolled symptoms that are not able to be managed at home and requires around-the-clock nursing care, our hospice program will also pay for the patient to go to a skilled facility until symptoms are managed.